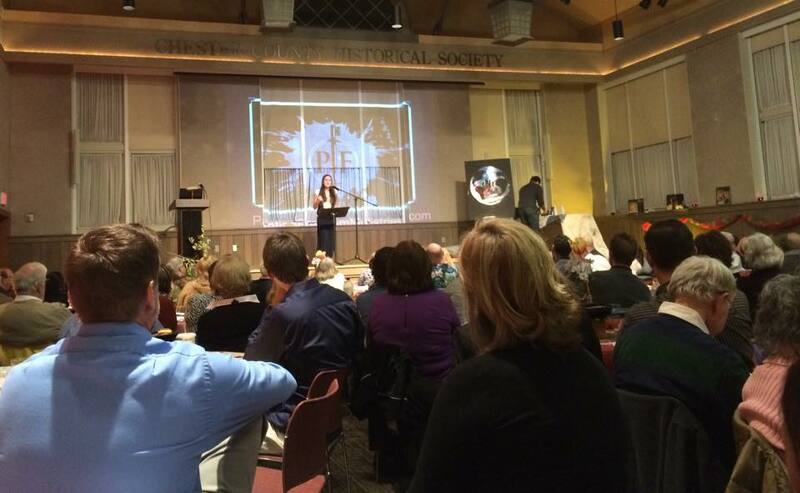 The first-class event and major fundraising initiative, Celebrate Compassion, was held at the Chester County Historical Society on March 14th, 2015. This gala event included a live and silent auction, delicious hors d’oeuvres, desserts, and of course, Cup of Compassion coffee. 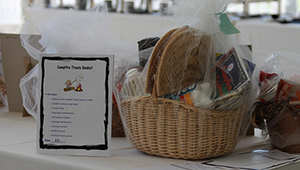 Celebrate Compassion raised $25,000 for Compassion Corps projects, making it one of our top-grossing events to date! THANK YOU for making this event a huge success. A big shout out goes to the small, dedicated team of women who made up this event’s planning committee. You know who you are…and you are amazing!! Thanks to the board, staff and volunteers who came early to set up, ran different pieces of the event throughout the night, and to those who stayed late to clean up. Painting Freedom Ministries let us borrow Tucker Rodkey and Abby Mannion for the evening. Thanks for blessing us with a live painting and spoken word poetry to help communicate the theme for the evening: peace. Thanks to the group of 8th grade ladies from The Christian Academy, who came early to help set up in the kitchen and tirelessly served food throughout the night. We are so grateful to the participation of our local churches, and in particular for support from First Baptist Church of Collingdale, The Blue Church, and Grace Bible Fellowship. Thanks for sponsoring tables and inviting guests from your congregations to join us. Thanks to Heidi & Ryan Velazquez for setting up and running our awesome Cup of Compassion coffee bar, complete with paired snack items! Compassion Corps’ Board Chairman, Randy Haynes, was our energetic and entertaining auctioneer. Thanks for doing such a great job, Randy, and helping us raise significant funds through our live auction and the Auction for Africa. Thanks to all those who donated & purchased items, contributed financially, attended the event and invited friends and family to join us as well. It is because of all of you that this was such a successful evening. We enjoyed spending time with you and hope you’ll join us again for our next Compassion Corps event, Orphan Day 5K, to be held at Ridley Creek State Park on the morning of October 3rd. We’d like to leave you with an excerpt of the spoken word poem, delivered at the Celebrate Compassion Gala. These words speak to the power of God’s peace in our lives, in the lives of our partners…and we pray, also in your life as well!